Flow Pack Machine suitable for the wrapping of the solid goods with regular shape, such as Biscuit,Cookies, Chocolate, long shape candy, Bread, Instant noodles, waster ice, ice cream, Moon cake, medicine, Commodity, knife and fork, Hardware etc. 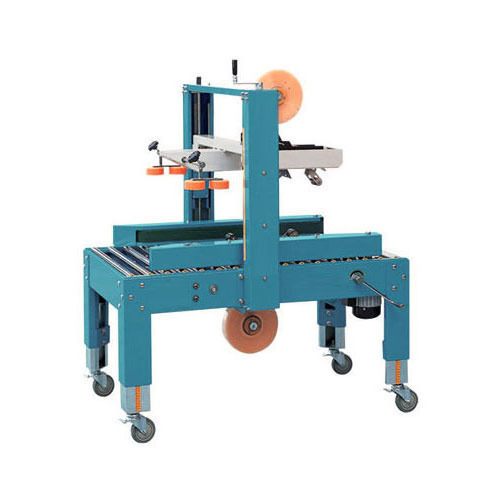 Machine has a speed of 40 to 580 wraps per minute although this machine is usually hand fed and runs at lower speeds the machine can be fitted with various automatic feeds such as, magazine, vibration bowl and auto push feed, cross belt feed. Many Our solution Biscuit Wrapping Machine is suitable for swiss rolls, sweet buns, slice cakes, rusks, muffins, doughnuts, and various other bakery products of different shapes and sizes produced in small batches. Providing a high degree of flexibility, quick changeover/batch setup, and ease of operation, sanitation, and maintenance, our small footprint solution has been designed keeping in mind the specific needs of automated high quality bakeries. Flow wrap solution for bakery products in single or multiple units with or without tray. Output will vary based on product specifications and feeding system. 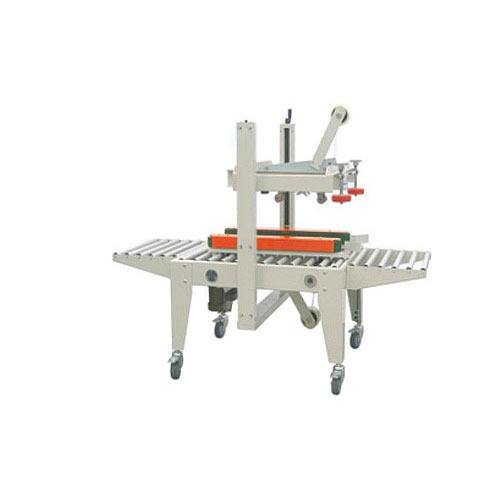 May be utilized for wrapping products of different shapes and sizes with quick and easy batch changeover and setup. Wide degree of tolerance for dimensional variation within the same batch. Designed for minimal intervention, Designed for round-the-clock operation. Rapid and easy set up, batch changeover, and process diagnostics with user friendly graphical HMI. Touch screen interface optional. Designed for easy sanitation. Use of food grade plastics and stainless steel components. All stainless steel version with washdown infeed optional. We are the leading manufacturer, exporter, importer and supplier of a qualitative assortment of Carton Sealer that is manufactured using best grade raw materials along with contemporary technology. The offered range is extensively popular in the market for its associated features like long life, easy maintenance and resistant to corrosion. Our offered sealer is delivered from our end only after testing properly by our quality controllers upon various parameters. Also, we avail the entire range in various specifications to choose from. Your cottage cheese, quark, fresh cream and other fat applications Zoom on curds, cottage cheese, fresh cheeses, quark and othersCurd in platic cups of 100 g and 400 gEach country has their own fresh cheeses : curd, smetana, tvorog, fromage blanc, faisselle, quark, cottage cheese, brousse, mascarpone, ...and form, texture, aroma, flavour are various. Today, with the growing demand of consumers, numerous industrial dairy producers are active in the expanding market of those dairy products in cups and tubs. 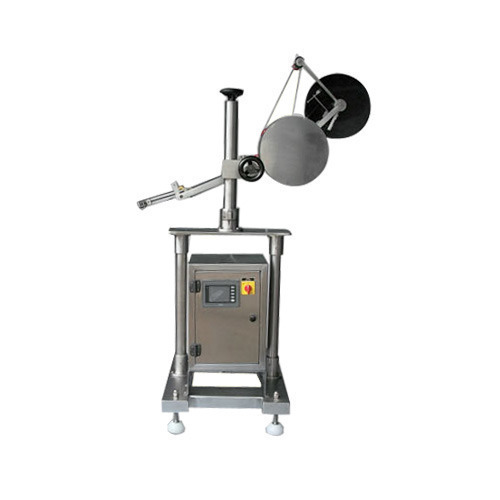 Cup filling and weighing machines adapted to your cheeses, creams or cheese spreadsTo correctly package your curds, fresh cheeses, dairy cheese specialties, clarified butter or ghee, the design and method of filling have been carefully studied. 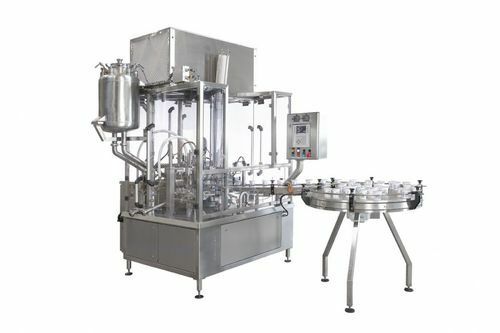 We offer Cup filling machine is Rotary Cup Filling Machine for Icecream cup filling, Yogurt cup filling, Honey, Curd, Buttermilk filling , Shrikhand in PVC, Plastic cups. MUltipack Machines is characterized by their high efficiency, excellent reliability levels, easy maintenance, and long life. We employ a staff of highly experienced machinists and service technicians. All our machines use reliable component brand names such as Airtac, Festo, Leuze, Siemens, Mitsubishi, Delta, Omron, etc. This enables us to provide our customers with continuously high quality, state of the art packaging equipment at competitive prices. Can handle Filling Capacities up to 100 ml. 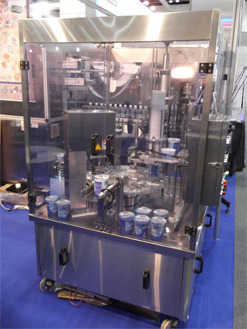 It is a fully automatic machine and can handle filling capacity up to 200 ml. 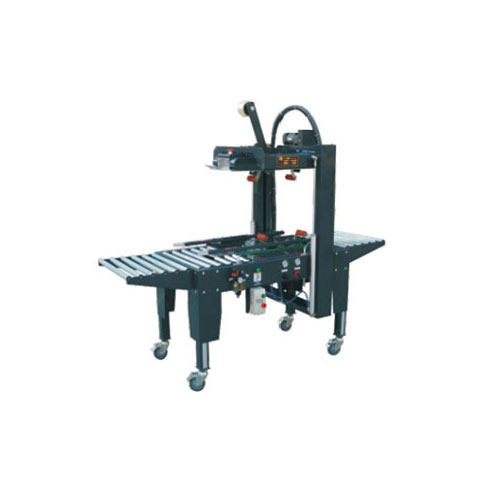 (It contains automatic sewing Machine and the belt conveyor matched with Non-dynamic Rollers section. It also contains Material Elevator). 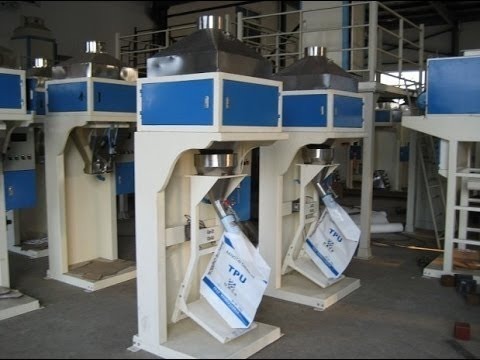 It mainly suits for packaging fertilizer, agrochemical, feed, chemical raw materials, seed, rice, sugar, as well as other crystalline with good-fluidity, granules, loose and small stripped materials. 1. It explores muti-rated material feeding device with wide weighing range which guarantees maximum and minimum speed as well as precision. 2. The weighing control system is designed according to IP54 Standard which has requirements of being anti-dust and water-proof. 3. This machine is made up automatic weighing system, belt conveyor, bag sewing machine and self-controlled cabinet. hologram Excise Label Applicator for wine and liquor. also we offer label applicator for Food and Beverage, Pharmaceuticals ,Cosmetics ,Personal Care Products ,Agriculture,Pesticides,FMCG ,Health Care with bottle, box, jar, any kind of shape and sizes. The offered labeling machine is manufactured using superior quality components and cutting edge technology under the guidance of our skilled professionals. Our provided labeling machine is checked against varied quality measures in order to ensure its quality. Apart from this, our customers can avail this labeling machine from us at pocket friendly rates. 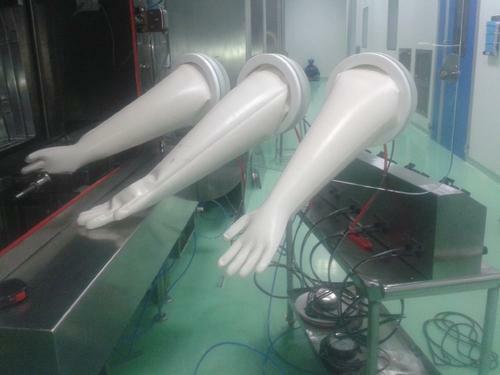 manual or automatic Glove Integrity Tester. With this glove leak tester, it is possible to integrity test up to twelve glove/sleeve combinations at once, without de mounting them. Client specific test covers for over pressure or test cylinders for under pressure are provided. We are engaged in manufacturing these less power consuming and time saving packaging machines like automatic film wrapping machines, automatic film packaging machines, biscuit wrapping machines etc. Our team specializes in wrapping machines for biscuits catering to some of the world renowned companies including Britannia, Parle, Anmol, Dukes and Raja. 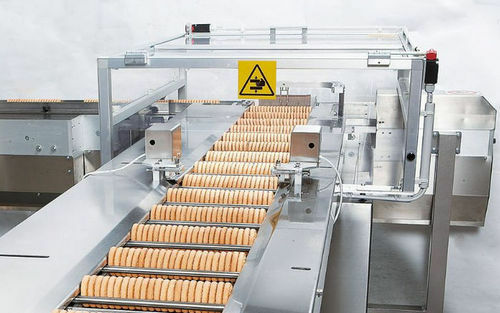 We offer integrated end-to-end solutions from cooling conveyors through automatic or semi automatic feeding, flow wrapping, auto collation, and secondary packaging for hard and soft dough biscuits, cream sandwiches, fragile crackers, soft cookies, and wafer biscuits of all shapes and sizes. 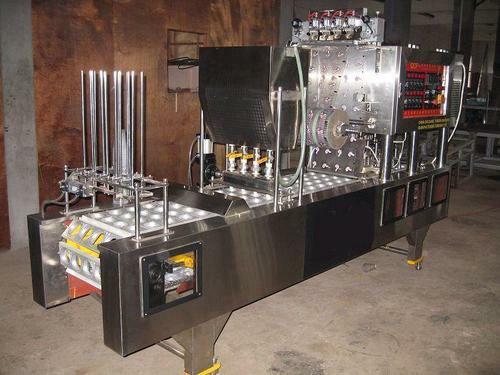 Customized, flexible multi lane feeding systems also available. Facilitated with technically advanced processes at our ultra-modern production unit, we are able to offer a comprehensive assortment of Standard Cartons Sealer. The offered range is well-known in the market, owing to its features like durability and high performance. This range is stringently tested by our quality controllers in order to deliver defect free range at clients end. Clients can avail the entire range from us at an affordable price. 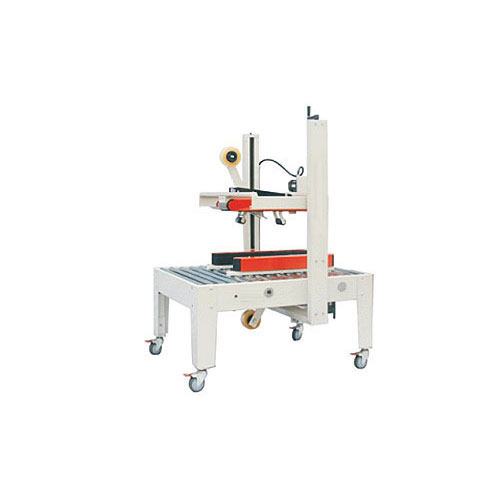 Our offered carton sealer is widely appreciated in the market for featuring variegated attributes like high functionality and sturdiness.Being a prominent firm, we are engaged in offering an all-encompassing assortment of Pneumatic Operated Automatic Carton Sealer. Considering diverse requirements of our valuable clients, we avail the offered range in a variety of grades and specifications to choose from. To make a defect-free delivery from our end, our quality inspectors thoroughly examine the entire range against various parameters. Our offered Standard Cartons Sealer is extensively used in chemical, food, beverage and other industries for carton sealing purposes. Being a client centric firm, we are committed to manufacture and supply these sealers in a variety of sizes, efficiencies and specifications.